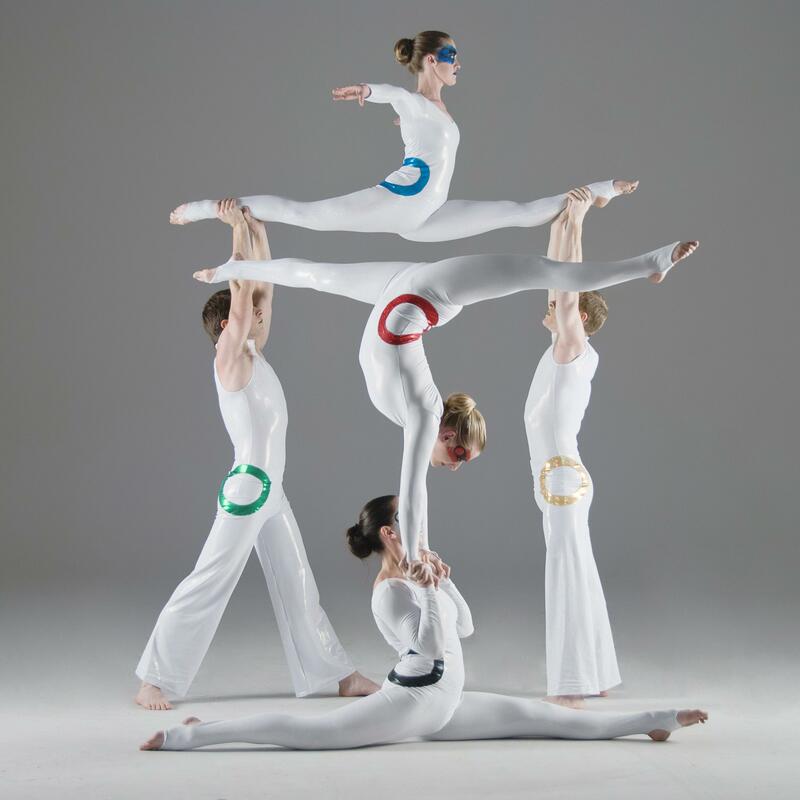 Our Acrobalance Duo deliver an act combining dynamic lifting and powerful balances which create a beautifully choreographed and intimate stage show. This act is perfected by 2 versatile performers who are able to combine different elements of acrobatics and circus (Cyr Wheel, Handstand Canes, Aerial Silks and Hoops) to create a well-rounded and unique performance especially for your event. Individually this duo have performed all over the world for clients such as Santander, Vidal Sasson and Google, and for well-known events like London 2012 Olympics Games, The Brit Awards and the Alan Carr Show. This stunning act; set to a bespoke soundtrack to suit, will captivate audiences in any environment or setting. The Acrobalance Duo are a fantastic act for any event looking for something unique, different and performed with intense passion. For more information on our Acrobalance Duo or any of our other entertainers please contact your Account Manager.